Entertainment often goes beyond what you’re watching, because it includes how you’re watching it, too. 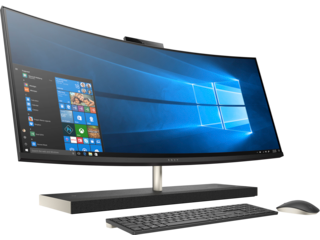 At least, that’s at the root of what we had in mind when we made the HP ENVY Curved All-in-One. 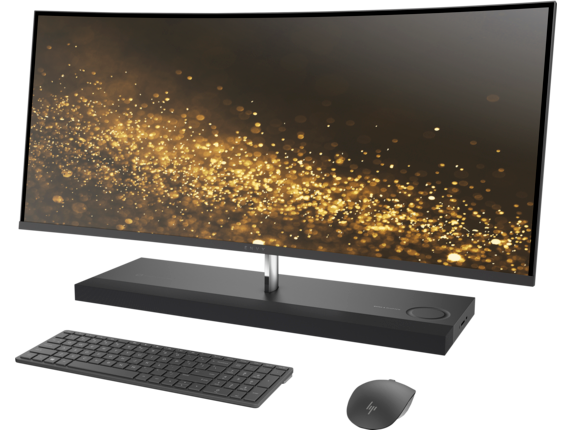 This desktop is more than a machine; it’s an experience. And it’s one that has to be seen and heard to be believed. On first sight, this PC resembles glass suspended above a box, weightless. But upon further inspection, you’ll realize that there’s far more at work here. 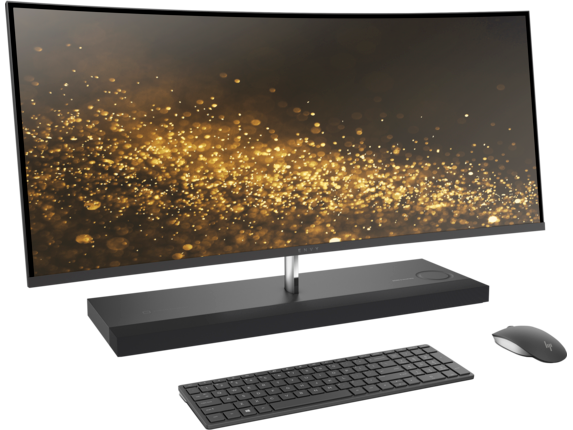 The first thing you’ll notice when listening to music or watching a movie is the incredible sound packed into this curved desktop. With a sound bar from Bang & Olufsen, you’ll never be left wanting more when it comes to quality. It’s designed so that the speakers are subtly concealed, yet perfectly optimized, for the best listening possible. This comes as a result of placing it front and center in the base of the PC, which means the quad HP speakers are actually aimed directly at you. Plus, with the embedded touch volume control, great sound quality is always within reach. We design our desktops from the ground up with a clear goal in mind: to make people stop and look. Because of its signature design, the ENVY 34 is sure to look great anywhere that you put it. That’s because every part of the all-in-one is built to work together in one amazing product that puts you at the center. From the intuitive touch-based audio controls, to the sound system that delivers real power, to the crystalline screen at the heart of it all, you’ll never be bored when you’re sitting in front of this PC. Our computers are built to entertain. This all-in-one desktop doesn’t just stop at looking and sounding great. Great performance extends all the way into the body of the computer, delivering a stunning experience for any project you’re working on. 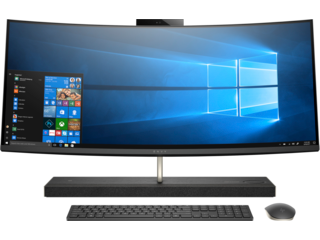 From crunching numbers in spreadsheets to watching your favorite movie, this PC will let you do it with ease. 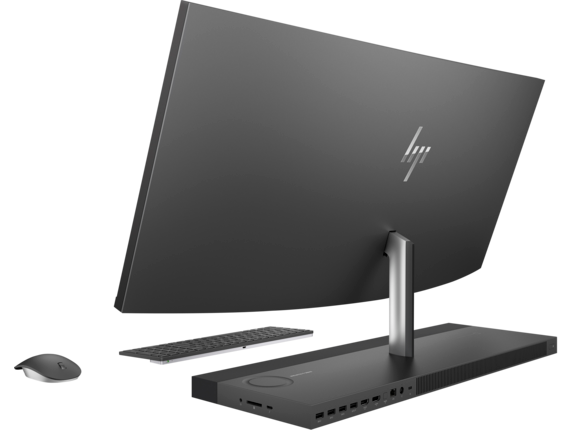 With up to 16GB of RAM and an array of hard drive and solid state drive options available, you’ll have the option for as much storage as you want paired with any level of performance, something you’ve come to expect from HP®. If you’ve found yourself running short on screen space, don’t worry any longer. 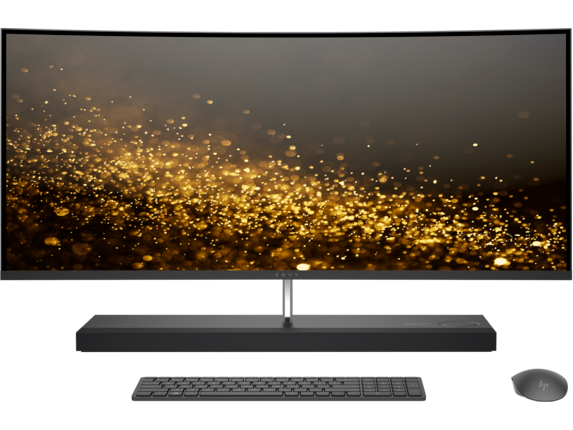 With a 34” Ultra Wide QuadHD display (3440 x 1440), featuring an IPS panel, you’ll have a great viewing experience for anything you’re looking at. 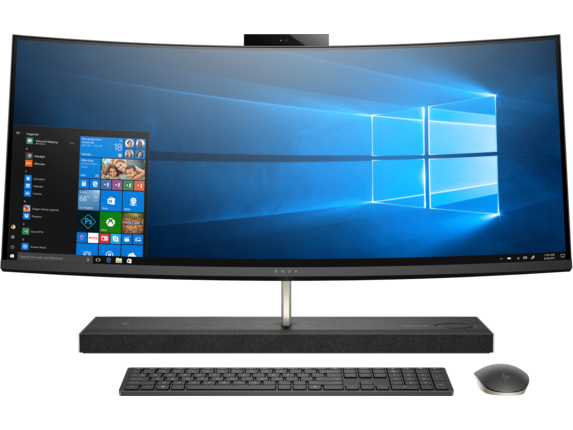 This is great for work and entertainment, but it’s especially fantastic for multitasking. The large screen real estate means that it’s easy to run two apps side-by-side or to run multiple apps on the screen at once, all without competing for space. And when it’s time to go from work to relaxation, that same large screen is the perfect way to watch your favorite shows and movies. Whether you’re thinking of getting a new desktop computer for your home, office, or anywhere in between, the HP all-in-one desktop is a stellar addition to any space. It’s sure to catch eyes and enhance your workflow with a bevy of killer features. 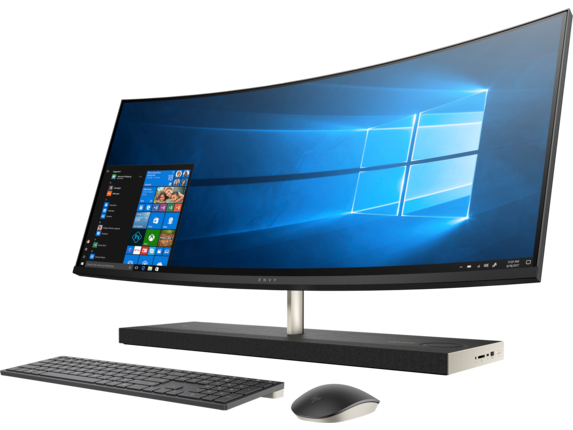 Plus, with its high-end performance and stunning design, it looks great just about anywhere while giving you the tools you need to take on that next big project. 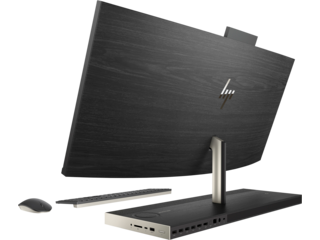 HP® values your desire for privacy. That’s why this all-in-one machine comes with a concealed camera that only comes out when you need it to. That means no more having to tape up the camera or worrying about who’s watching on the other end. Now, you have full control over when your camera is out and, more importantly, what it sees.